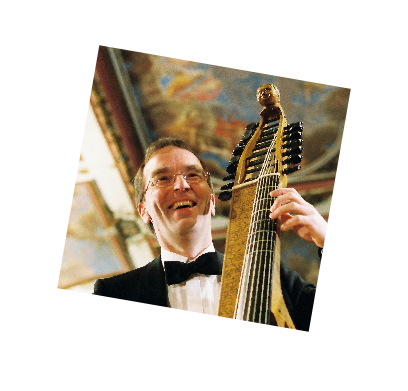 After studies at the Hochschule für Musik in Stuttgart he studied Violoncello and Viola da gamba in Vienna and recieved his Viola da gamba diploma in Trossingen, Germany (Prof. Philippe Pierlot). Apart from his own Esterházy Ensemble he is member of various formations for early music. He made numerous recordings, concerts in Europe, USA, South America and Asia. Teaching activities in Vienna and Switzerland (Viola da gamba and Baroque Cello) and at various workshops throughout Europe.